How to Make Fruit Slice PlacematsThis is a guide about how to make fruit slice placemats. 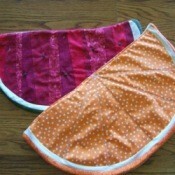 changing up the fabric colors and patterns you can make a variety of fruit slice design placemats. They would be fun to use for summer meals and picnics. 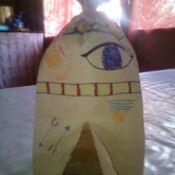 How to Make a Paper Bag TentYou don't need to spend a lot of money to provide your child with playthings. This project is also easy enough for your child to help make. Then get out the small toys and they can let their imaginations take over. This is a guide about how to make a paper bag tent. 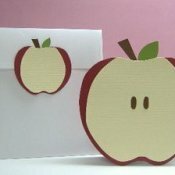 Homemade Apple Card and TagIf you enjoy making your own greeting cards, give this apple shaped card and matching gift tag a try. It is perfect for a birthday, teacher, really any occasion when you want to give a unique card. This is a guide making an apple card and tag. Caring for a 5 Week Old PuppyCaring for a puppy that is younger than typical weaning age can present its own challenges. This is a guide about caring for a 5 week old puppy. Dealing With Poodle OdorsProper and timely bathing should take care of most dogs' odors. Poodles have dense curly hair, so more attention to the lathering and bathing may be required with this breed. 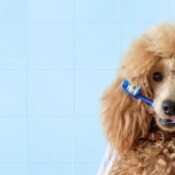 This is a guide about dealing with Poodle odors. Dog Still Scratching After Flea TreatmentTreating your pet for active fleas is only part of the process for getting rid of fleas and preventing re-infestation. Your home and yard will be to be treated. 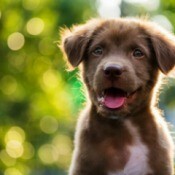 Even if your pet no longer has fleas, their skin may still need treatment to promote healing and discourage scratching. This is a guide about what to do if your dog is still scratching after a flea treatment. Pennant Birthday Cake TopperThis fun easy to make pennant cake topper allows you to personalize a birthday cake using a few simple and inexpensive supplies. 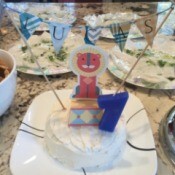 This is a guide about making a pennant birthday cake topper.